The Arc is the largest national community-based organization advocating for and serving people with intellectual and developmental disabilities and their families. Services offered include: information and referral services; individual advocacy to address education, employment, health care and other concerns; self-advocacy initiatives; residential support; family support; employment programs; and leisure and recreational programs. 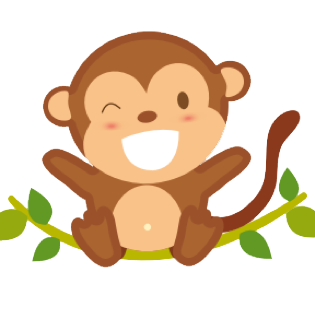 Texas Parent to Parent provides support, networking, training, and resources to families and children in Texas who have disabilities, chronic illnesses, and/or special health care needs. The organization advocates on behalf of the children’s well-being and provides support groups to deal with the emotions, responsibilities, stress and isolation that families face when raising a child with a disability. TxP2P has resources throughout Texas. For a full list of locations and services, please visit their website. The Department of Assistive and Rehabilitative Services (DARS) is a state-wide program that provides resources for families and individuals in the following areas: rehabilitation services, blind services, early childhood intervention services, disability determination services, help for state agencies, personal attendants, autism programs and more. 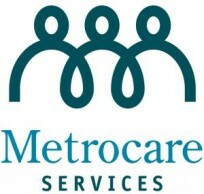 Personal Care Services (PCS) is a respite program under Medicaid that provides attendant care contingent on income and medical necessity (if a child needs assistance with basic activities of daily living and the caregiver is not able to provide this and/or needs assistance providing this). 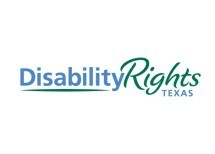 Disability Rights Texas provides legal and advocacy services for people with disabilities. The following resources are available state-wide: accessibility, community living, education, employment, healthcare, housing, protection and civil rights, and transportation. Services are also available in Spanish. Ability Connection Texas (ACT) provides a full range of services for people of all ages with physical and intellectual disabilities across Texas. These include therapeutic services, nursing and residential services, assistive technology, day programs, and educational and in-home services. ACT currently provides in-home services for the northern DFW area. Easter Seals is a national organization with local branches in the following Texas cities: Fort Worth, San Antonio, Austin, Houston, and Bryan. Easter Seals provides services, education, outreach, and advocacy so that people living with autism and other disabilities can live, learn, work and play in our communities. In addition to child development centers, physical rehabilitation, and job training, Easter Seals provides the following programs: autism services, children’s services, adult services, senior services, military and veterans, employment and training, medical rehabilitation, camping and recreation, and brain health services. Early Childhood Intervention (ECI) provides families with children ages birth to 36 months with developmental delays the resources and support they need to reach their goals. In-home evaluations and therapy are available in most areas. ECI also provides parent education, general counseling, behavioral counseling, nutrition services, and assistance with PPCD enrollment. Texas Child Protective Services (CPS) investigates reports of abuse and neglect of children, provides services to children and families in their own homes, places children in foster care, provides services to help youth in foster care make the transition to adulthood, and places children in adoptive homes. CPS provides additional resources in both English and Spanish for families, young children, youth and young adults across Texas. Case Management for Children and Pregnant Women is a state program that provides case management services to children with disabilities (age 20 and younger) and pregnant women (of any age) to help clients access medical services, medical equipment and supplies, and other resources and assistance. Clients are required to have Medicaid insurance in order to qualify for services. *Therapy 2000 has CPW case managers available. Head Start is a nation-wide program that promotes the school readiness of children ages birth to 5 from low-income families by enhancing their cognitive, social and emotional development. Head Start of Greater Dallas provides the following services to young children and their families: education, health, nutrition, family advocates, and special services in a classroom-based setting. (for Tarrant County) The Child Study Center (CSC) provides diagnostic and treatment services to children who have, or are at risk for, developmental disabilities and related behavioral and emotional problems.The CSC is located in central Fort Worth and provides the following services: developmental-behavioral pediatric evaluation and treatment, psychological evaluation, medication management, applied behavior analysis, follow-up care for graduates of Neonatal Intensive Care Units, educational evaluations, behavior management classes for parents, and infant screening and assessment.